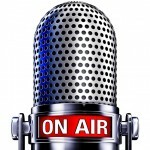 What Can Other Nonprofits Learn From Community Radio Station Pledge Drives? I don’t know about you, but where I live, it’s been all fund drive, all the time, from virtually every nonprofit, community radio station in the Bay Area. No matter where you turn the dial, there’s someone reminding listeners about the great service the station provides, the costs to run it, and the great thank-you gifts we’ll get in return for pledging particular amounts. overall, most donations come in during the last day of the fund drive. What’s up with that, and what does it mean for other fundraisers? I haven’t seen any studied analyses of this phenomenon. It actually seems doubly surprising given that experts who have studied on-air fundraising consistently say that urgency, desperation, statement like “We’ve got to meet this goal!” and “The phone lines are empty!” are a turnoff. (See, for example, John Sutton’s “Listener Focused Fundraising” report.) Positive messages about the listener’s part in supporting excellent media work much better. Everyone procrastinates. All fundraisers have learned to expect a last-minute rush of donations in late December. But that’s just one of many possible deadlines during the year. Any time potential donors know there’s a deadline ahead, they may perhaps mentally put the item on their “deal with later” list. Even the people who say they’re turned off by urgency and desperation may eventually be moved by it. I believe the prevailing fundraising wisdom that it’s best to keep the message positive — but I’m starting to suspect that either there are some people who prefer the “S.O.S.” messages, or that no matter how donors respond to surveys, they actually respond to the cries for help more than anyone recognizes. I’m on an email list for a nonprofit that regularly gets into public debates with donors who say, “Cut it out with the strident distress cries, already,” to which the nonprofit invariably answers, “But it’s the only thing that works!” Are they deluded? Is it just their donors? Impossible to know. The comparison shopping urge takes over. Almost all radio pledge drives involve thank-you gifts. Some people may simply be waiting to hear what all the gift options are! Of course, they then miss out on opportunities to get limited-offer thank-you gifts. Assuming I’m not totally off base, the first two items on this list may be worthy of any type of nonprofit’s consideration, radio or not. So, for example, if someone’s newsletter is about to run out, you’d want to give them advance notice, but also make abundantly clear, later on, that THE DEADLINE IS COMING. It’s also worth paying attention to the tone of your messages (which may slip into “distress” mode even without your intending it) and how your donors respond. As for the third item on the list, it’s a useful reminder that, even in the charitable context, people’s consumer side can take over. Whether at an auction, bake sale, or something else, be sure to remind people early and often that the main purpose is to support a nonprofit, not to pick up a goodie.